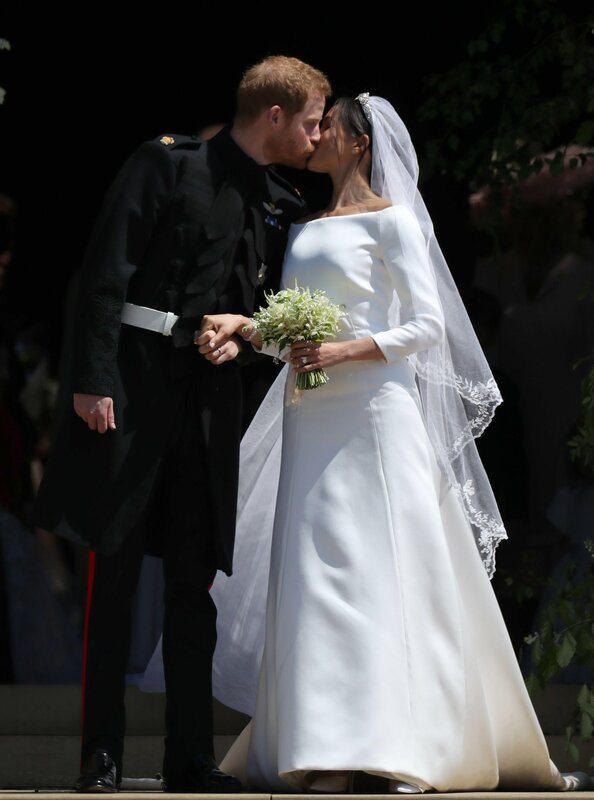 The most eagerly anticipated wedding of the year has taken place – Britain’s most eligible bachelor and his American actress tied the knot in, for Royal standards, a relaxed, modern and certainly different style of wedding ever seen in British Royal history. Of course, the one thing we at Verona Couture and I’m sure many many women, and indeed men, around the world couldn’t wait to see was THE DRESS! Many months of speculation trying to guess and then second guess what Meghan Markle would wear to marry her Prince Charming were finally laid to rest when she stepped out of her Rolls Royce to walk up the steps of St. George’s Chapel in Windsor on Saturday. 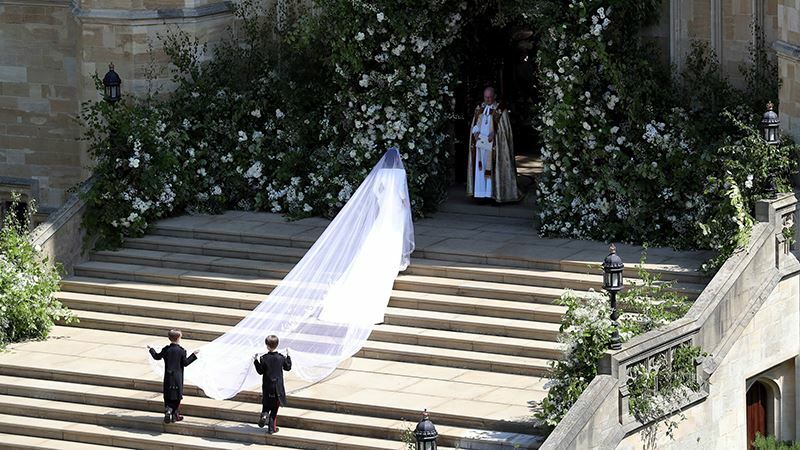 There it was, a white double-bonded silk boat neck cut, three-quarter sleeved, hip skimming dress with a floral embroidered lace five-metre-long veil by British designer Clare Waight Keller for the House of Givenchy. When Meghan stood on the steps of St. George’s Chapel while designer Clare and two pageboys arranged her train I gasped, I loved it, I thought she looked sensational, she had got it just right, and here’s why. Let me start by answering that last question – it may be the second, third or even fourth time around, but it’s also the last time around, so wear whatever makes you happy! Now that we’ve dealt with that, what about the rest of Meghan’s dilemmas? Well, it is for all of these questions that I think she ticked ALL of the boxes. The sleeves were Royal-friendly. The boat neck was timeless – very Audrey Hepburn, another Givenchy muse. The slimmer cut was befitting, for Royal standards at least, a more ‘low-key’ wedding. The clean cut tailoring was keeping the ostentatious at bay. And the veil! 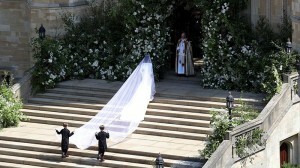 The veil carried all the pomp expected of a Royal bride and at the same time a beautiful nod to the Commonwealth. If she had stepped out of that Rolls in a sparkly, low-cut slinky number she might have been branded as a crass American not understanding the family she was marrying into. If she wore a big ball gown she would have been compared to Princess Diana. If she wore lace she would have been compared to the Duchess of Cambridge. I don’t care if she is Royalty or not – no bride should ever be compared to another! A wedding day is the first day of a marriage – no two marriages are the same, equally no two brides are the same and should be treated as the individuals they are. As a high profile woman Meghan will unfortunately face press criticism for her outfit and style choices forevermore. 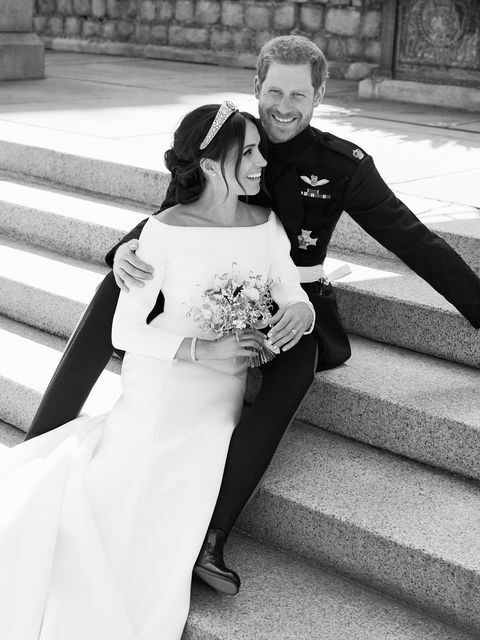 Her wedding dress was her opportunity to tell the world, press included, ‘this is me’ – pared back, timeless, elegant and conducted herself with grace and dignity. I think the style and design of the dress was a stroke of genius; she doesn’t need bells and whistles because here’s hoping that as the Duchess of Sussex she will be applauded for actions and not reduced by the press to nothing more than a walking mannequin. Welcome to the Windsors, Your Royal Highness – a family business like no other, and what an impressionable first day!